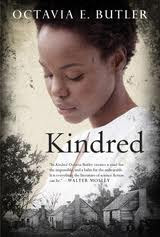 I will be giving away Kindred by Octavia Butler, a book which I read several years ago when it was the title chosen for the “If All of Rochester Read the Same Book.” Time travel has always interested me, and I tend to read any book that features it in a storyline. Kindred is one of my favorite novels because Octavia Butler managed to use the time travels of Dana, a modern day black woman in California who was transported to a Maryland plantation in 1815, to emphasize just how much the institution of slavery continues to affect race relations in our nation today. Dana is forced to assume the role of slave in these sojourns to the past to survive. She endures beatings, is nearly raped, and suffers psychological abuse. Ironically, Dana is married to a white man in her modern day life, and their love and devotion to one another is cause for hope in the book. 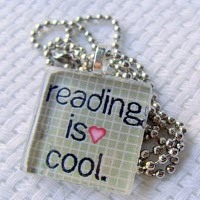 It is odd to find a book that is part science fiction, and part historical fiction, but Ms. Butler managed just that! I hope by giving away this book, that I will give some of joy to someone else that reading has given to me. I will be giving out copies at the Greece Public Library, the Aquinas Institute (where my daughter graduated in 2010) and other “surprise” locations! I hope to see you and hand you a copy of Kindred on Monday, April 23.